Ghanaian TV host, Gifty Anti is the happiest celebrity today because it’s her birthday. According to Wikipedia, January 1 marks her birthday but photos of her and a bunch of birthday messages have been flooding social media on Wednesday, January 23. It means today officially marks her birthday, not the other way round. She celebrated her birthday with a stunning photo with her cute daughter and an adorable message. 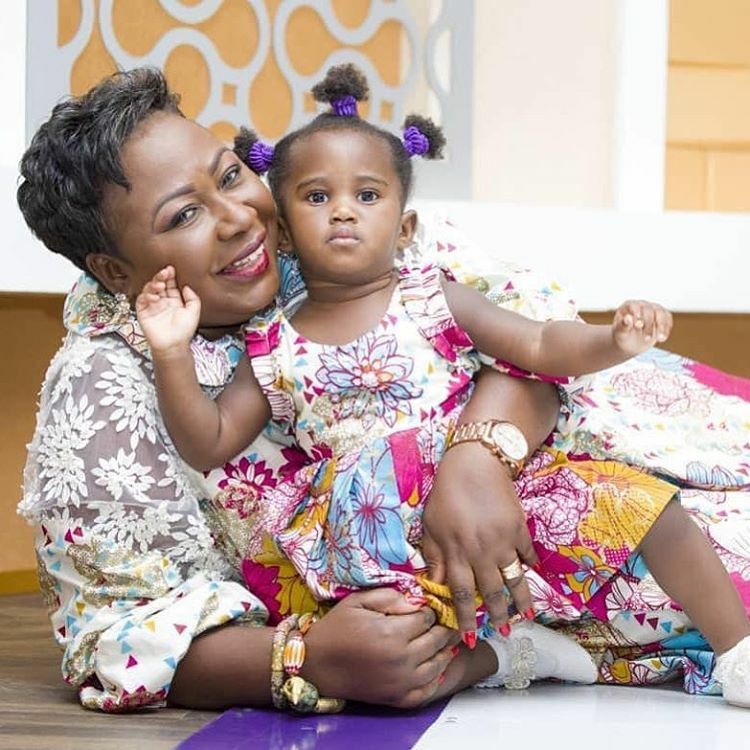 According to Gifty, her 1-year-old daughter Nyame Animunyam Afia Asaa Afrakoma Sintim-Misa, is the best gift she is celebrating her 49th birthday with.